The Small Solar Company, established in 2006, is MCS accredited and can install affordable solar water heating systems. We fit high quality, efficient evacuated tube panels and specialist solar cylinders. The Small Solar Company can install affordable solar water heating systems. We fit high quality, efficient evacuated tube panels and specialist solar cylinders which are compatible with most boilers or water heaters. We are members of the Solar Trade Association (STA) and Renewable Energy Consumer Code (RECC). Free hot water direct from the sun! One of the easiest ways of harvesting this energy is by collecting it on the roofs of houses and storing it in hot water. The running costs are very low as the energy has to be carried just a few metres, not 1000's of miles. Solar water heating can reduce your hot water heating bills by up to 70%. Using the suns energy to heat the majority of your hot water is widely considered to be the most cost effective and energy efficient system. We also inspect, service and repair all makes of solar heating systems. We stock a variety of spare parts, even for systems that were installed by companies no longer in business. The Small Solar Company Ltd are MCS accredited engineers who supply and install Solar Hot Water. 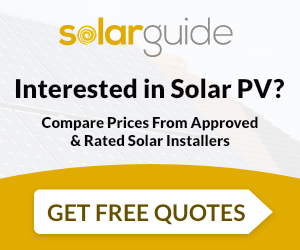 For similar installers in this area please visit the St. Albans solar page.